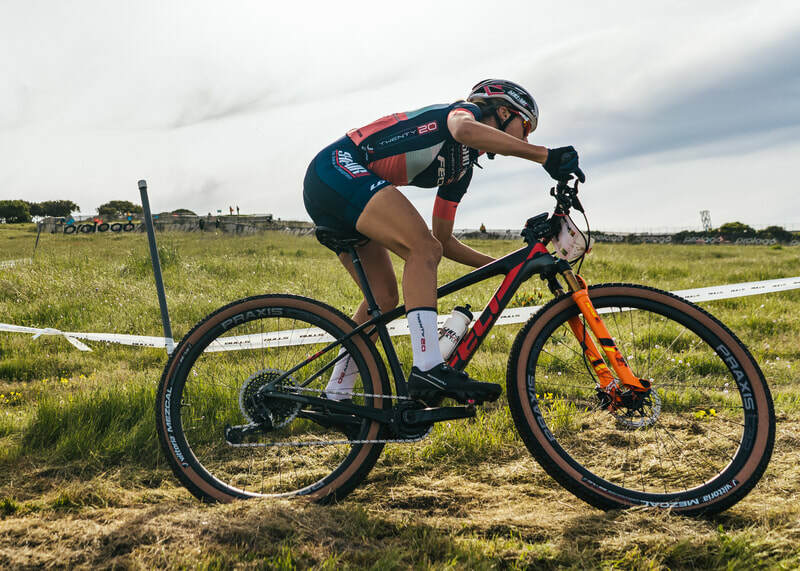 After dealing with some unfortunately timed early season sickness, I was SO happy to be back in the racing scene with a couple good weeks of training in my legs, healthy and ready to fight for it! 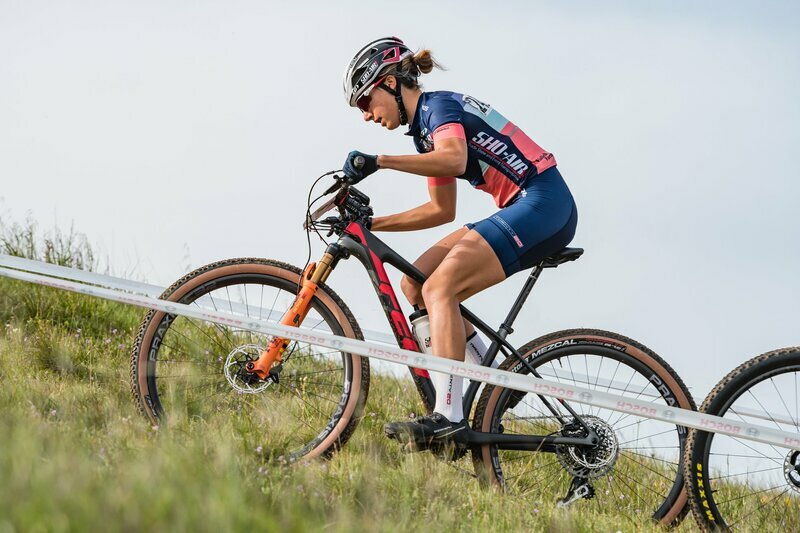 Sea Otter is more about the networking and sponsor gratitude than it is about the racing, but we still had an important opportunity for UCI points in the HC on Thursday and again on Sunday for the C3 XC race. Lining up on Thursday I felt calm, happy, and ready for an opportunity to restart my season. I had decided on my Felt Doctrine for this weekend with our Praxis C32 wheels and Mezcal 2.25 tires, the choice was perfect for the fast and exposed courses. The race went smoothly and I was able to make some positive deposits in the mental and physical areas I’ve been working on the past few weeks. 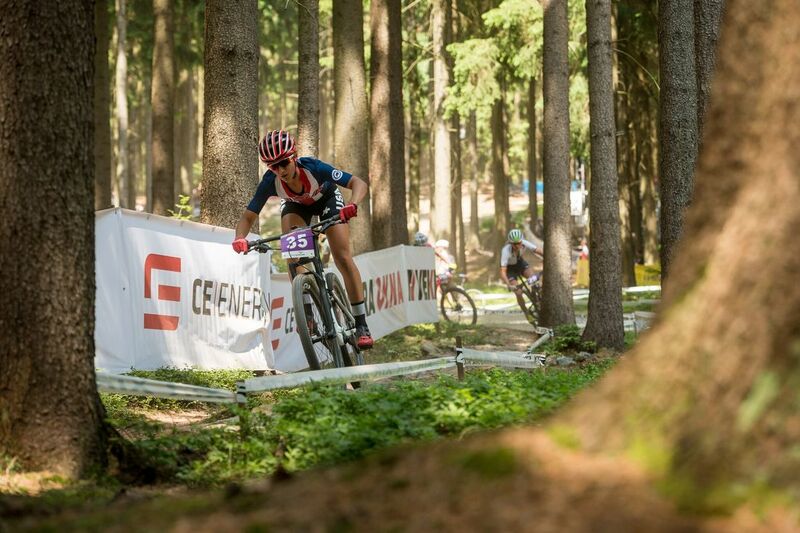 I was happy with 13th in the HC after a tactical race, and excited for another shot on Sunday! ​I wouldn’t even call Sunday’s start time “bright and early” as we were up in the dark far before the sun for our 7:40am start time. Honestly though, there isn’t any other way I would rather start my day than racing these ladies through green grass and lupin splattered twisting single track as the sun rose! After a slow start, my legs finally decided it was a good time to wake up about halfway through the race and I finished 10th feeling strong. Just in time for a second cup of coffee. Alongside the racing, I was really excited for the opportunity to meet the companies that have helped Lea and I start this season. A few of these were Praxis with our wheels and cranks, Vittoria tires, the Felt family of course, and Bryton computers. I’m leaving this week motivated and with so much love for this team, our sponsors, and everyone behind the scene making it all possible. 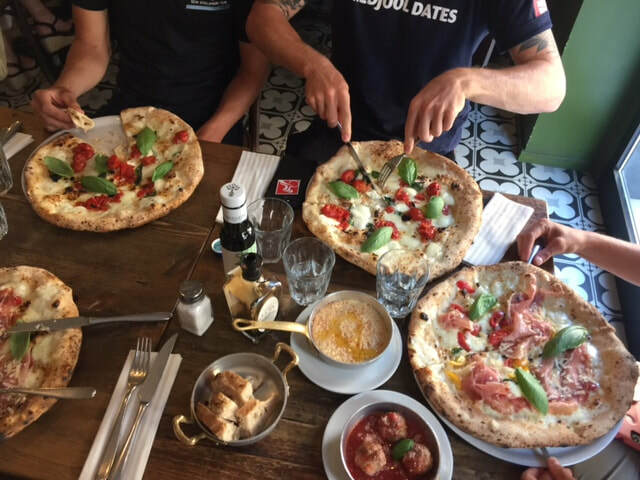 After the Val Di Sole World Cup, we made our way to Milan, Italy to board a plane for Barcelona. 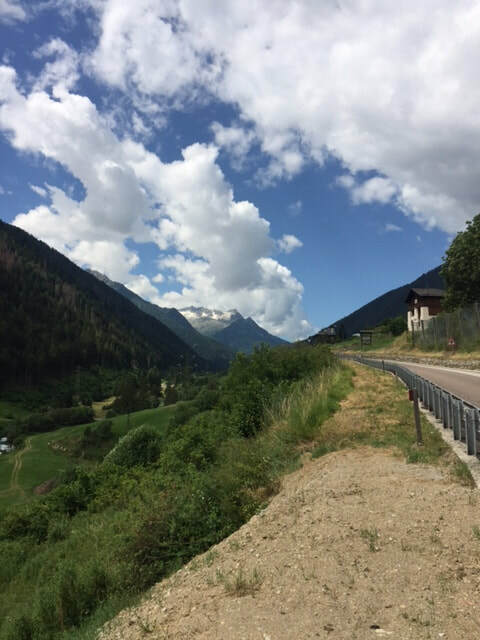 After a long travel day and a couple days in Andorra to train and reset before the circus of World Cup racing began, I got out on some beautiful rides over famous mountain passes and Andorran towns. I was excited to get on yet another new course for me, and discovered the track rooty, rocky, steep, and slippery from the evening rains. I was in love by the first lap, with climbs as steep as you’ve ever seen and long natural rocky and rooty descents. 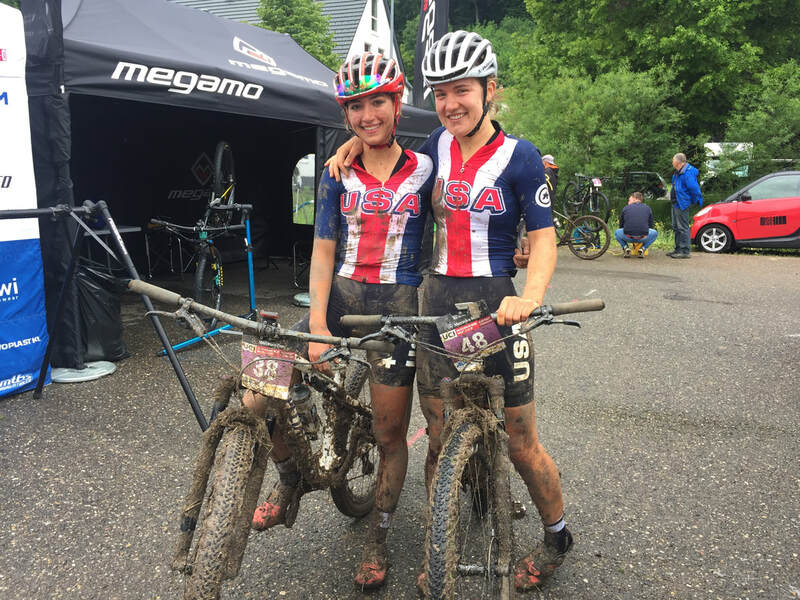 Again, U23 women raced at 8:30am Sunday morning. 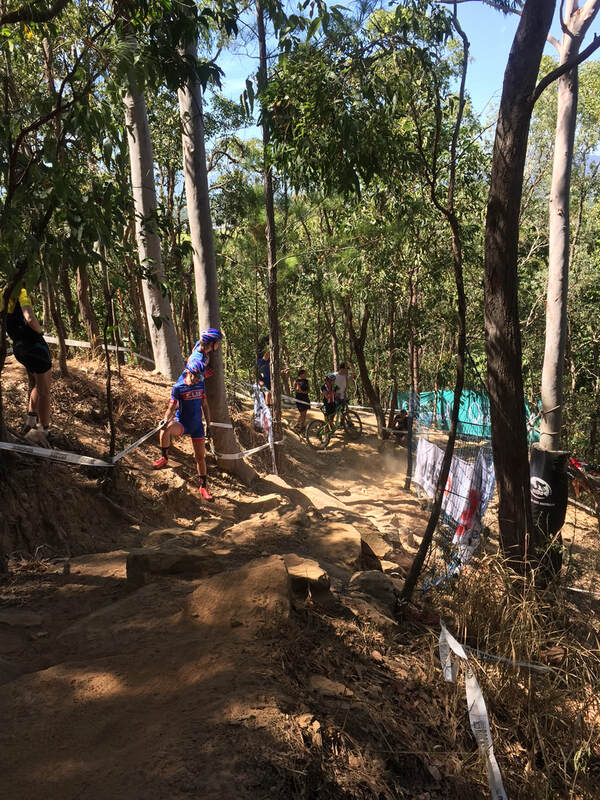 Despite the week day rain, the weekend turned out to be hot and sunny and the course dried out completely, leaving Sunday’s forecast to be hot and dusty! Luckily an 8:30 am start meant cooler temperatures, but I still found myself in the start box wishing for my ice vest as the morning sun began to beat down on us. I rolled up to the start happy, grateful, and excited to be there. I was called up to the line 19th in third row, my farthest WC call up yet. The start was straight and slightly uphill followed by an almost immediate 90 degree turn up the first steep climb. All of a sudden we had 1 minute till our start, then 30 seconds, 15…and the gun fired. I found my pedal, eyes focused, smooth, doing my best to avoid wheels and bars as the circus unraveled. The tape turned and our field was bunched up all across the track making it hard for me to move up. I fought my way to the top where it turned into a fun flowy dual slalom section. We were painfully slow down that as traffic backed up and every rider made their way down in single file. Up the next climb I dug deep pushing myself to the front of the slow group I was with and wanting to be first into the long technical descent that was just ahead. I also was fully aware we were racing at 6000 feet, and pacing was crucial. I worked to find the balance between pushing to where I wanted to be and not going too deep. But again I found myself behind a group of riders as we crested the climb and, crosseyed from the effort, I found myself at the back of the group. The descent was long with barely any passing places. I was frustrated as again we crept down the trail at a snails pace. Finally, the course turned and opened up onto one of the steepest and longest climbs. I pushed hard, happy to feel my legs burning with the good feeling and able to make passes. After the first lap I was riding with two others, and knew the top ten was in a large group close in front of us. 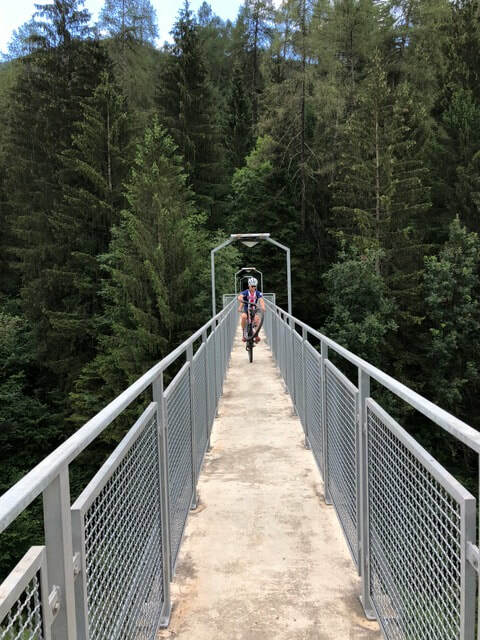 I wanted to bridge to that group but knew I was already pushing hard and didn’t want to dig myself into a hole I couldn't recover from at that altitude. Lap after lap I was feeling the intensity of the altitude, but the feeling was familiar as I remembered training high intensity at altitude in Durango. That group in front of us slowly spread out and I battled back and forth with 16th for most of the race with riders close in front and close behind. 18th, 19th, then 17th, I forced myself not to care, knowing the race was far from over and my position didn't matter. 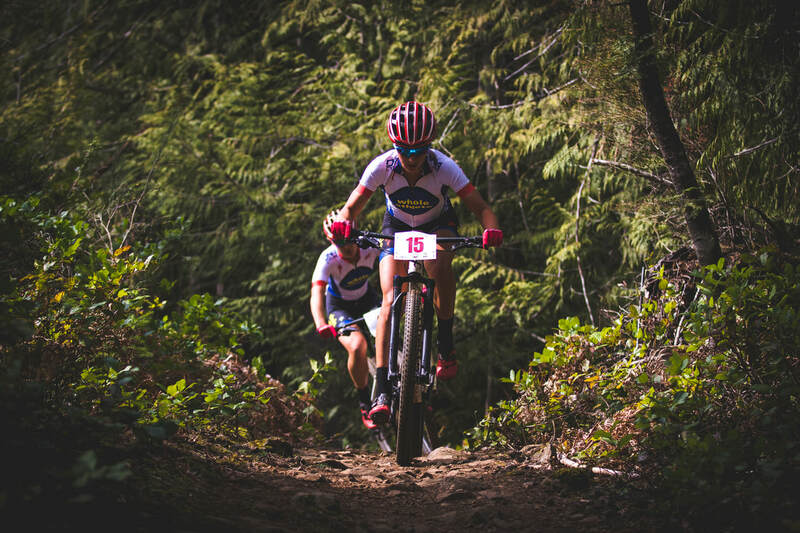 With two laps to go I held nothing back, battling relentlessly on each climb and staying razor focused on the descents. Every second mattered. A small gap grew with the rider I was with on the climb, which I closed on the descent, but then she opened it back up on the next climb. For the rest of that lap it was just about staying smooth and squeezing every last drop of energy I had left in me. I finished in 17th, really really happy to have felt more like myself, put down a fight, and checked off all my goals. 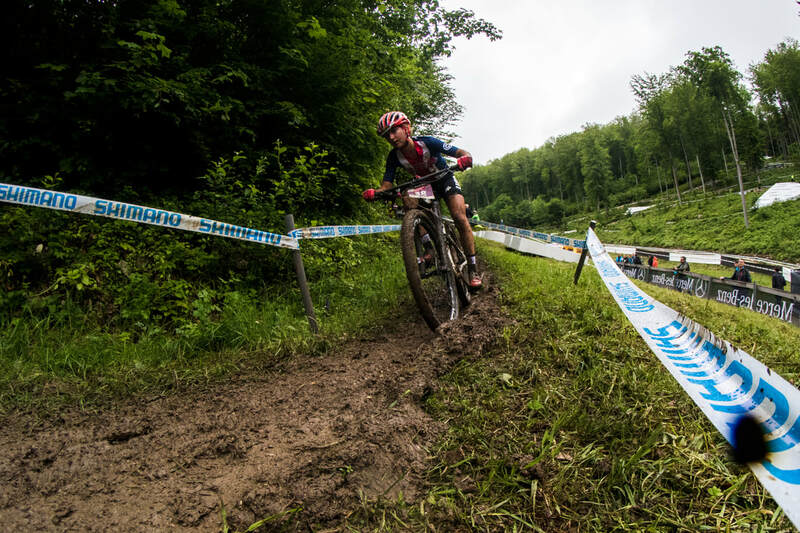 World Cup racing is a different animal, and every race is a different kind of battle. I’ve gained a lot of really good experience this trip and am just grateful to have had this opportunity and hungry for more. Just over a month after getting off a plane from the Czech Republic I found myself back at the airport, waiting for a flight to Munich for the 4th and 5th rounds of World Cups. 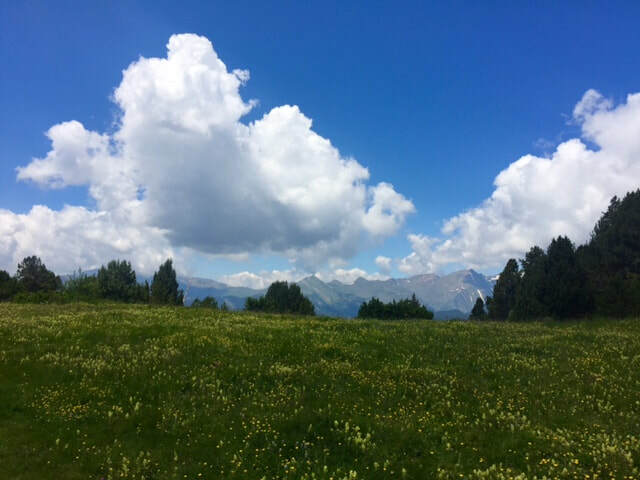 Arriving in Val Di Sole, Italy on Tuesday night, I felt relaxed and immediately found myself settling into my own routines. 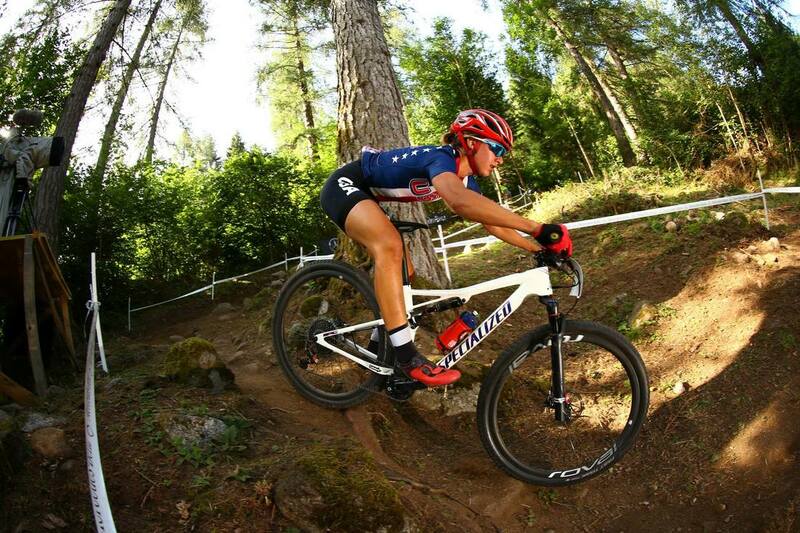 With just a small group of XC riders with the US, it was low key and relaxed, making rest and focus easier. I was excited to get on course, a new country, and a new track. The course was made of long steep climbs followed by short sweet natural descents and some man made rock gardens. After a couple days of scoping lines I felt recovered and more than ready to get on the start line after weeks of preparation and anticipation. 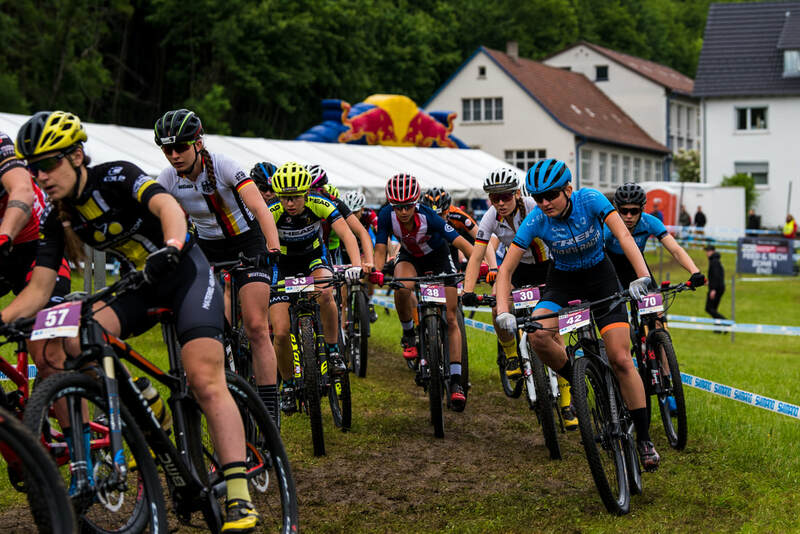 The U23 women started bright and early at 8:30 am on Sunday morning. My alarm sounded at 5:30am and very soon after I found myself on the start line, called to the line 30th in the fourth row. The gun went off and I found my pedal, fighting forward as the chaos unraveled. The start loop was hectic as it spread out on a flat fire road for the first minute before making a sharp right hand turn straight up. I rode my way up on the right side as far as I could before dismounting and running with the rest of the field. I bridged up to a group of riders and was finding flow on my lines and pushing on the climbs. We were racing four laps, ending up to be much shorter than usual. As the race unraveled I found myself more or less staying in the same place, feeling strong, but lacking the extra kick for a late race surge. I battled back and fourth with a group for most of the race, riding steady but not quite having the legs to fight where I wanted to. 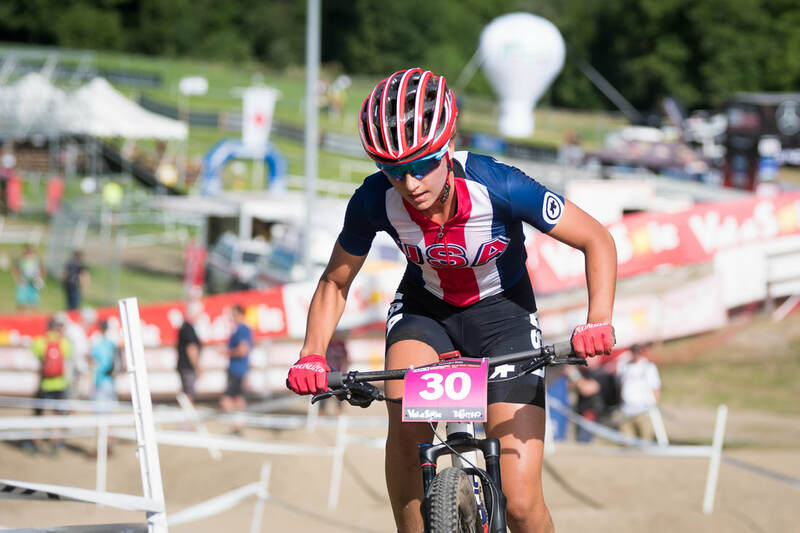 World Cup races are unlike any other, and I was happy to have a smooth race, crossing the line in 25th, with another WC start under my belt, and building on my experience. 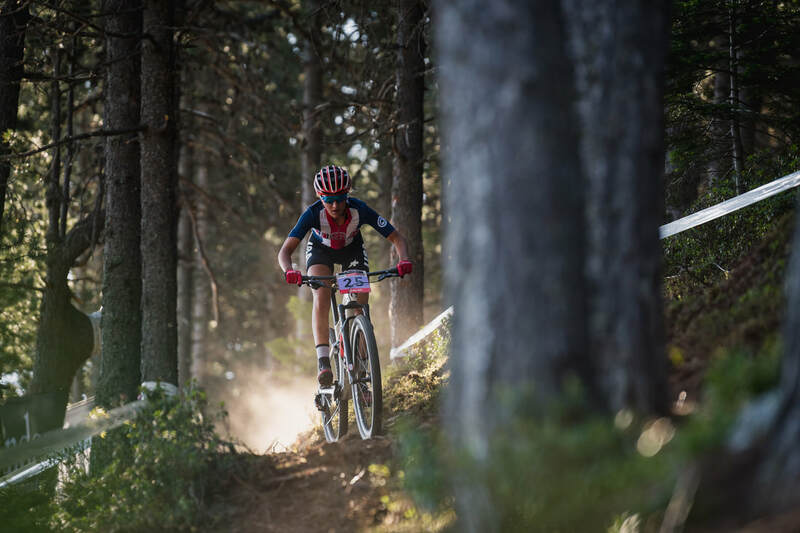 With the first race down, and some time to refocus and settle into my normal pace over here, I’m feeling ready for another exciting fight this weekend in Vallnord, Andorra. 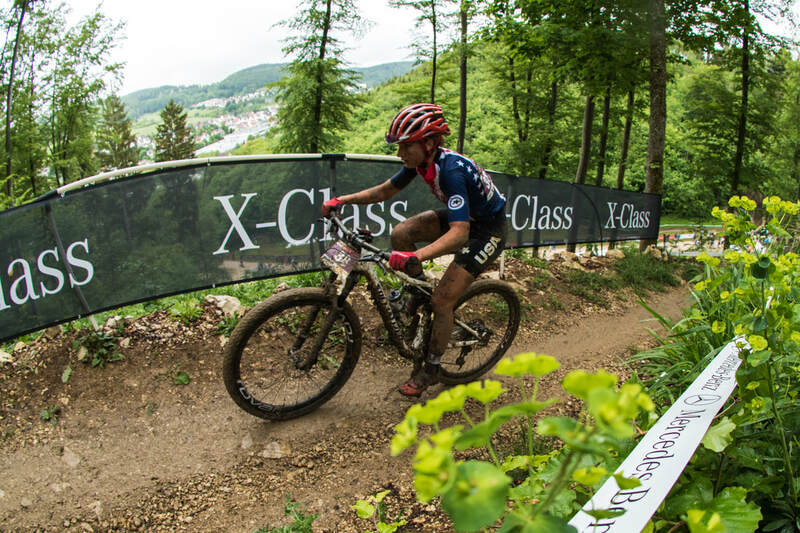 After a hard weekend in Albstadt, I think we were all biting at the bit for some redemption in Nove Mesto. 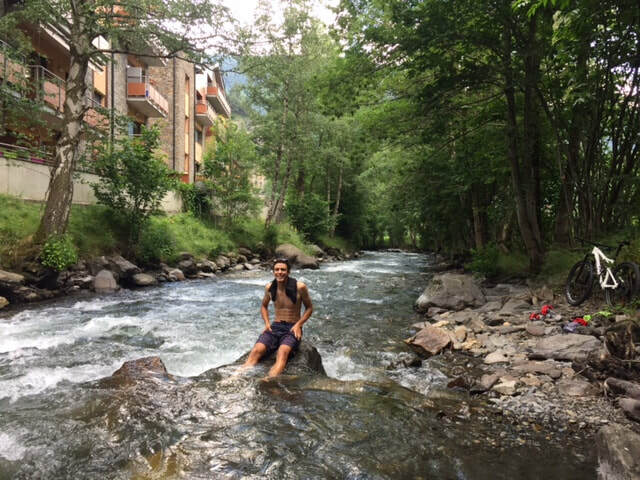 The travel legs were gone and I was settling into the rhythm in the Czech Republic. The sun was out all week and excitement for the weekend was building. 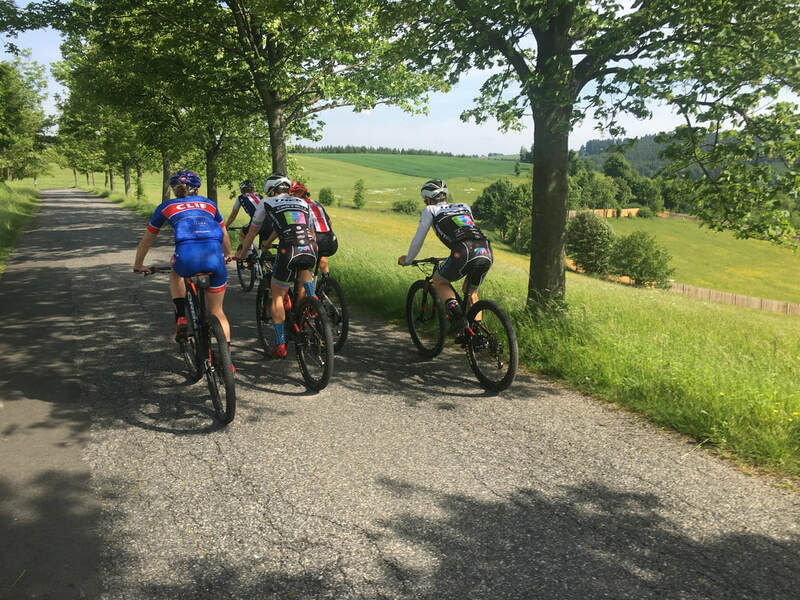 Course recon and spins across the rolling hills and dark dense Czech forests filled the days leading up to the race. 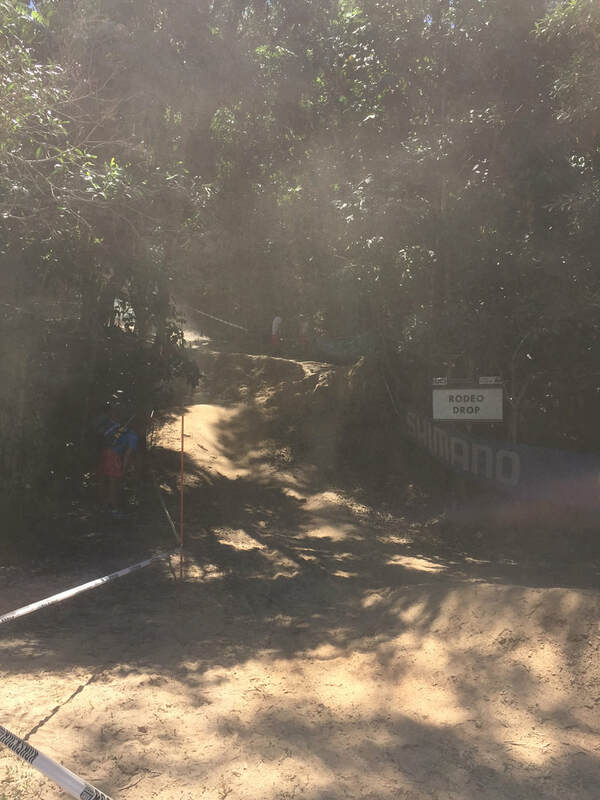 The course started in a stadium on fast pavement and quickly wound its way into the trees, ascending up unforgiving climbs and descents with sprawling roots and rocks covering dry loam. 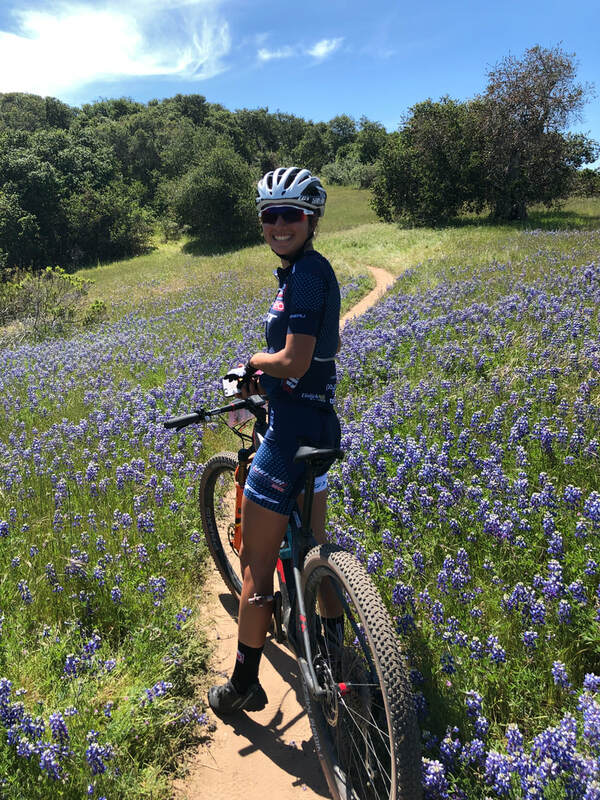 Saturday morning: short spin through the flowers with Kelsey. 12:45 Saturday: Kelsey and I roll over to the venue, meeting the edge of the woods with the buzzing sounds of the loudspeaker and 30,000 spectators making their way into the stands. The air is humid and hot but big clouds hang above us teasing for rain. No rain. Warm up. Kelsey and I move to the start boxes. The buzzing of the rollers is drowned out and I focus. The stadium is now full of spectators and Czech flags. I’ve never seen half as many spectators at a bike race before. Rolling up to the line fifth row, I tried to get comfortable cramped between riders, bars and wheels centimeters apart from everyone else. 30 seconds…15 seconds… the heart beat pounds through the loud speaker and all I felt was ready and excited. 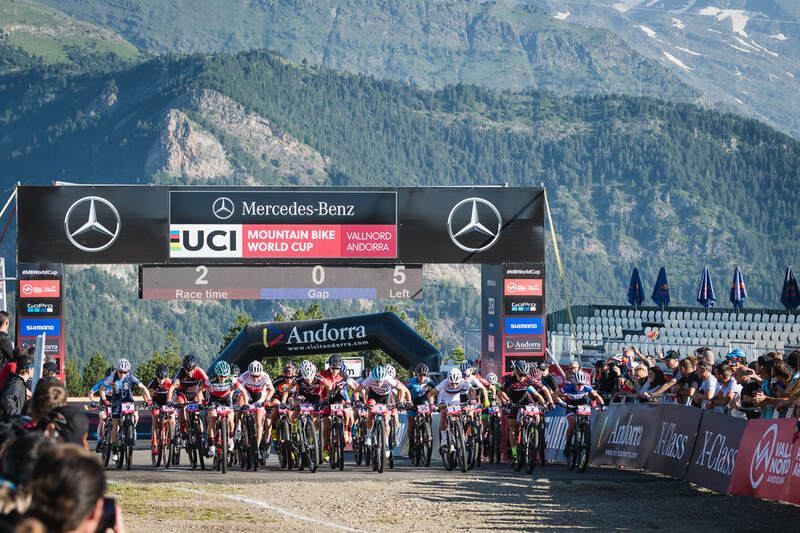 For anyone who’s never been on the start line of a World Cup, it’s probably one of the coolest things ever. 15 seconds… everyone pushes forward and we’re now in a tight clump of bikes. The gun sounds and I find my pedal and fight forward avoiding a crash on the tarmac. We were racing 5 laps plus a start loop, so pretty much 6 laps as the start loop was 3/4 the length of a lap. I find myself far back, in a cloud of dust as the chaos unravels and riders sprint up every possible line trying to move forward. I felt good and refocused going into the first lap. Stayed smooth, clean, and kept moving up. Every lap was smoother and the heat was becoming more intense. I focused. Stuck to my lines on the descents and moved up as much as possible on the climbs. 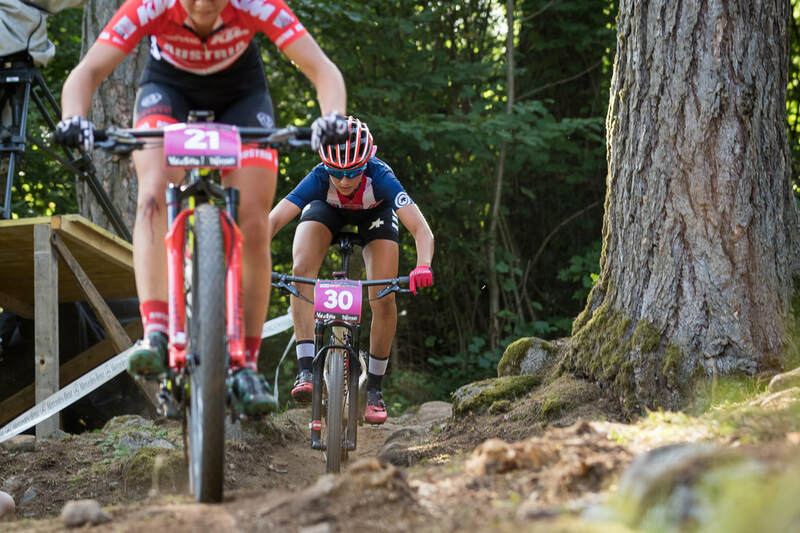 After a messy race in Albstadt I wanted more than anything to have a clean race and leave absolutely everything I had out there. Lap after lap the heat got more intense and the course was beginning to take a toll. Going into the fourth lap I made an attack into the top twenty and pulled in a group of riders in front of me. With one lap to go I start to feel my legs cramp and did everything I could to make the feeling subside. I crossed the line in 18th, completely empty, and proud. We woke early Sunday morning for our 9am start. The time flew by. Breakfast, kit up, jump on the rollers. It was a chilly morning with clouds in the sky and ominous rain teasing. 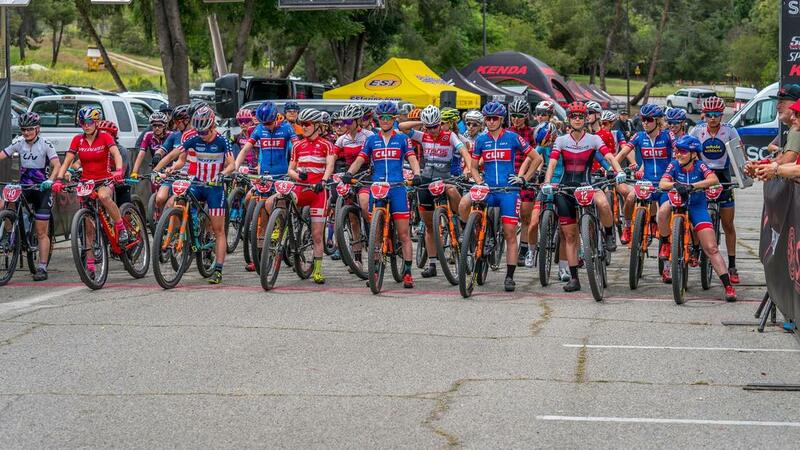 After a solid warm up I found myself in the start box, surrounded by 70 other women. …37…38… I was called up to the line fifth row. The heartbeat pounded through the loudspeaker…15 seconds…the gun blew and we were off. I started smooth. Found my legs immediately and was moving up on the start loop, past riders running up the slippery climbs and masses of tangled bikes. My eyes were up and I was making progress. Going into the first lap I was feeling strong and catching riders on the climb. Into the second descent I slid out after the drop and hit the ground pretty hard, knocking the wind out of me. I gathered myself, found my bike, and ran up the next climb. Straightening out my bike I brushed the crash off. The rest of the lap I refocused, skiing down the muddy descents and fighting up the climbs. On the final descent a rider behind crashed, ramming her bike into my derailleur. It wasn't until I was up the first climb of the second lap that my chain jammed and I spent painful seconds untwisting it as I watched groups of riders I’d just past, pass me back. That was a little bit how the rest of the race went, spending seconds untangling my chain and slipping and sliding through the slick forest. Rain started to fall and I dug deep trying to refocus and keep fighting. Starting to get the hang of my broken bike and the changing conditions on course I skied down the final descent. With one lap to go I was pulled. I was frustrated to not have been able to make progress and leave feeling like I had so much more to give. But reflecting on that day, I’m proud to have fought my fight and never have given up. 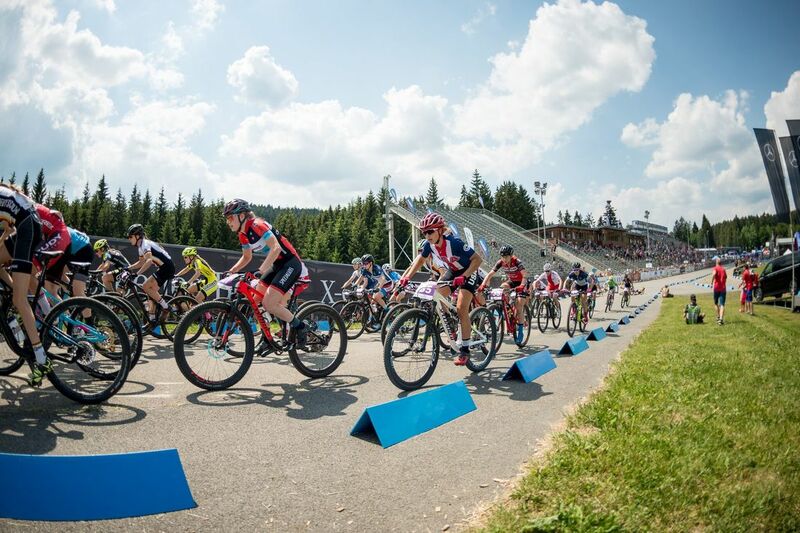 I’m relieved to have my first World Cup start under my belt and more hungry than ever for another battle this weekend in Nove Mesto. 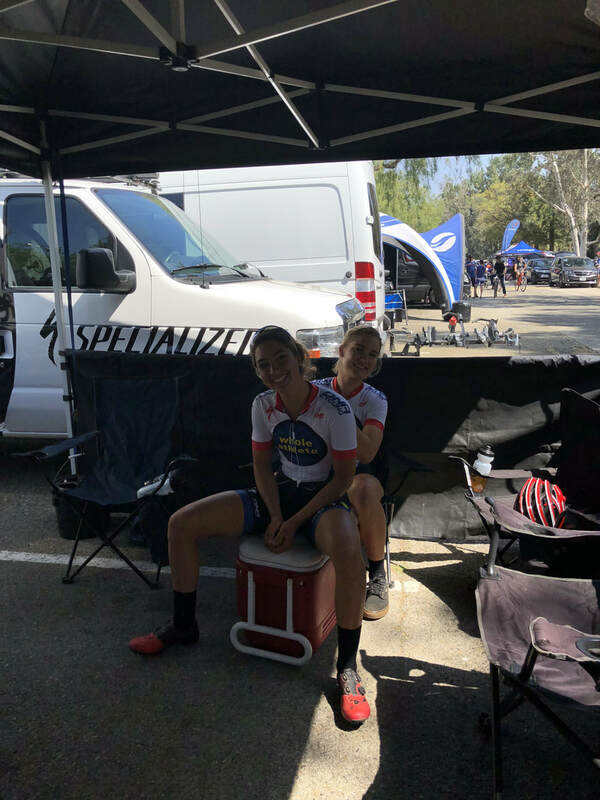 ​After a sunny week in California with the team, 11am Saturday morning found Kelsey and I at the venue, packing ice vests, preparing for a brutal 6+ laps of racing in the heat. Warming up, my legs felt really good. 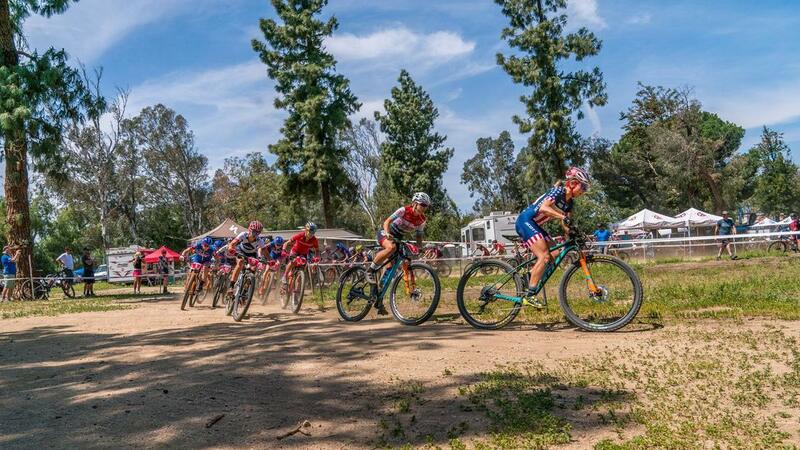 I knew I was more recovered coming into this weekend than to Fontana and was chomping to get to the line. I rolled to the line third row. The gun fired and we were off. A stressful start lap of knocking bars and narrowly avoiding collisions later, we started off on our first lap. I was somewhere mid pack on the start loop and more or less in the same position going into the first lap. I grabbed the wheels of the group in front of me as we made our way into the first descent. My lines were smooth and I felt focused, but the heat was pounding in my ears. Lap after lap I slowly picked riders off, trying to eat and hydrate and battle through the high 90s temperatures. I could tell people who went out hard at the start were blowing up once we were well into the race. On lap three I found myself chasing up to Sofia Villa Fane. We battled back and forth for the next three laps, but I could feel myself suffering from the heat. I finished 16th after a tight finish, happy with where I’m at and having once again learned a lot. Next day was STXC, and time to jump right back in the hurt box. After a delayed start the Elite ladies lined up once again for 15 minutes + 2 laps. 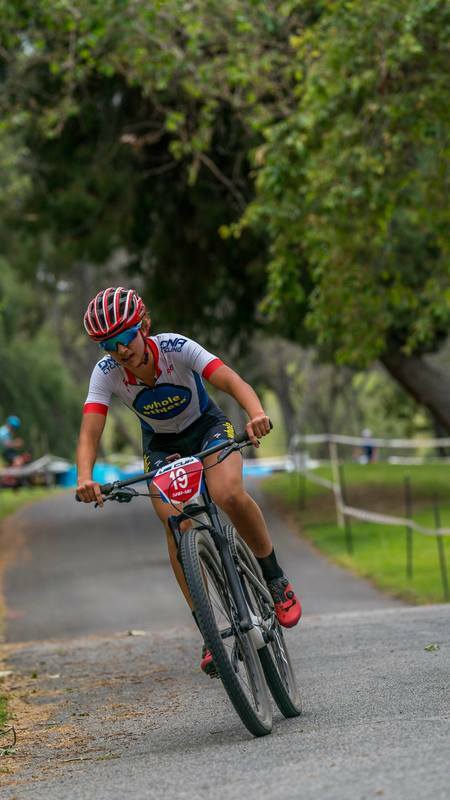 The first Short Track I ever did was as a Junior at Bonelli in the Elite field, and I was excited to be back with a little more experience in my back pocket. After some wise words at the start line from Josh we were off. I struggled to clip in at the start and then found myself at the back of a big lead group. For the first few laps a small group of us dangled off the back. I put in a few attacks and caught up to the lead group but then fell of once we would hit the climb. Toward the end of the race I started to feel better and caught up to Hannah and Emily’s wheel. With one lap to go I attacked and Emily followed. She got in front on the descent before I made a final attack going through the feed zone and rolled in for 13th. 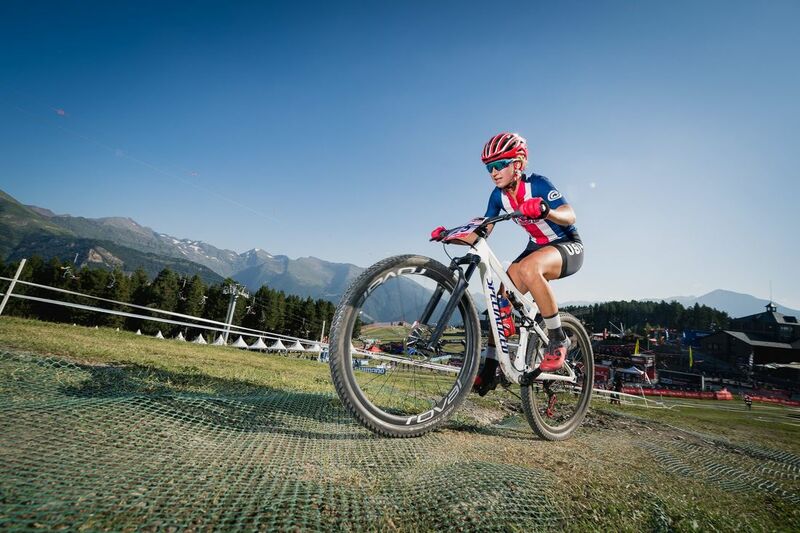 It was a very tactical race and I was happy to have found some legs at the end and ridden a successful race. I’m leaving this three week racing block motivated and incredibly grateful for everything Cammie, Josh, John, and Dario do to support the team and make it run so successfully. 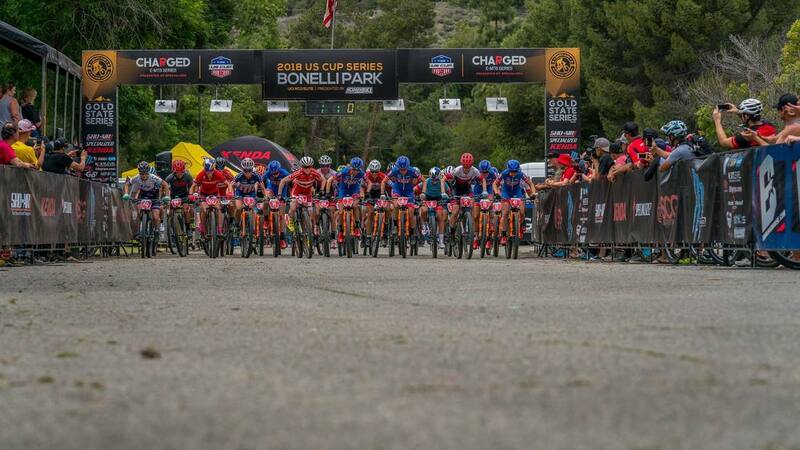 ​Next up, Soldier Hollow ProXCT! 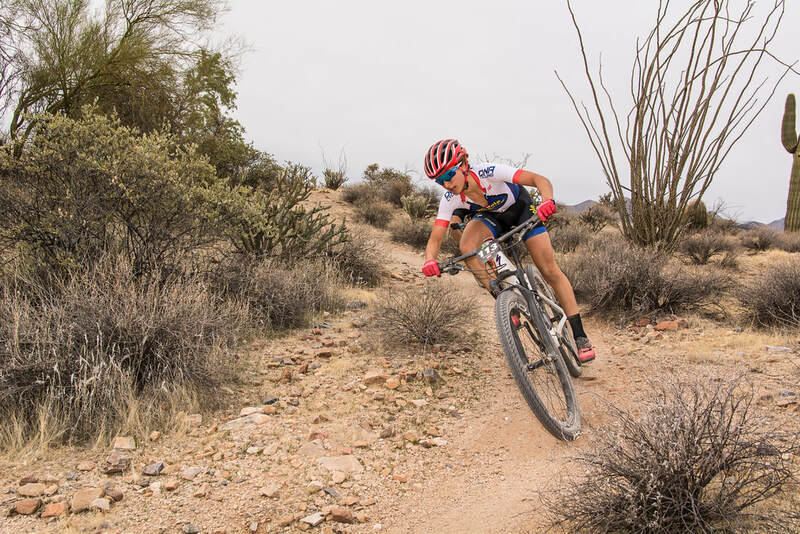 ​Fontana XC race offered no shortage of punchy, steep climbs, dusty rough descents, and hot temperatures. After a crazy busy week back at school it was time to pack the bike back up, get on a plane, and head to the opening round of the US Cup in Fontana, CA. Descending into the thick smog, a brutal weekend of racing in suburbia awaited us. After a relaxed race morning on Saturday, Kelsey and I headed to the venue. The day was heating up quick and I was anticipating a hard battle on the exposed course. I was called up to the line on the 4th row, on the far right side, right where I wanted to be. The start was fast, but as I rounded the first couple turns smoothly, avoiding crashes at the start, I began to settle into the pace. On the paved fire road climb I pushed hard, working my way past a big group. Into the first single track I settled in behind a group of riders, staying smooth on the punchy climbs as riders in front of me clipped out and ran. Onto the open road again I grabbed Lea’s wheel and followed her up the next climb. I was feeling really strong on the first lap but new that I was pushing it. Going into the second lap I dropped off Lea’s wheel and started working with Gwen for the next lap and a half. Going in to the last lap I was feeling pretty good and made an attack at the beginning of the lap trying to break away from Gwen but she caught back up at the top of the climb. From this point I let her lead on the climbs, making a couple failed attempts to get in front on the descents. I made a final attack on the last fire road climb on the back side, making a small gap and growing it on the descent. Across the final windy tempo section I put my head down with no riders in sight and was able to grow the gap to the finish. 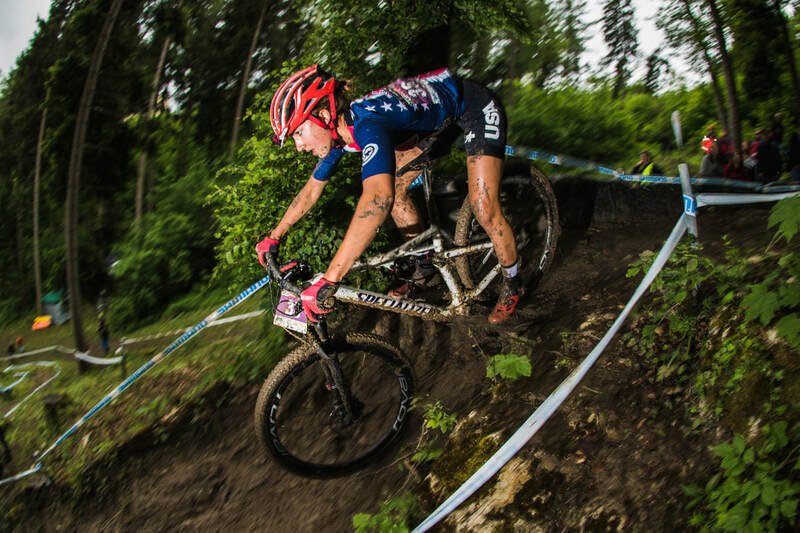 I’m really happy to finish 11th in a deep women’s field after a tough battle. This weekend went incredibly smoothly thanks to everyone who makes Whole Athlete run so successfully. Cammie, John, Josh, Dario, our parents, sponsors. It would not be possible without everything they do. 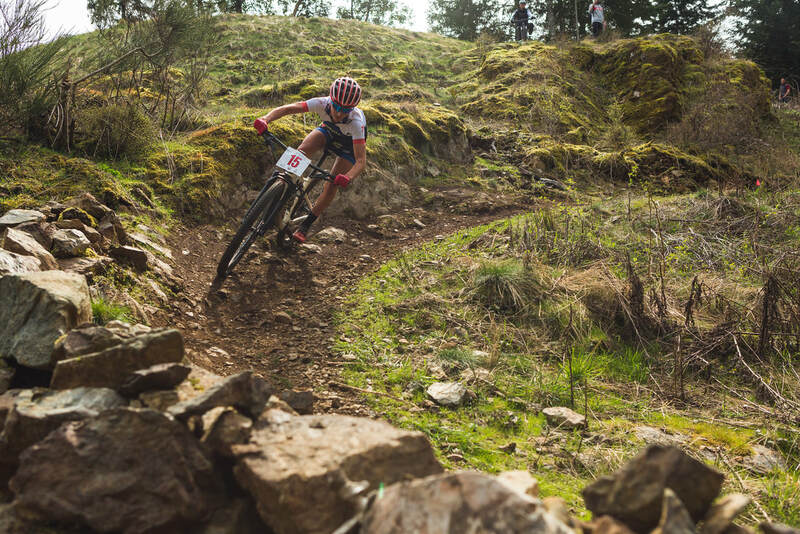 I was feeling good going into this weekend and excited to really get this season started with my first Pro UCI race and real XCO race of the season, as Cactus Cup, being a good opener, was a much different style of racing. After a day and a half of plane travel, driving, and a ferry ride, I arrived in Victoria. I got there on Thursday before our Saturday race so I was able to spend a good amount of time on course opening up the legs and getting my lines dialed. 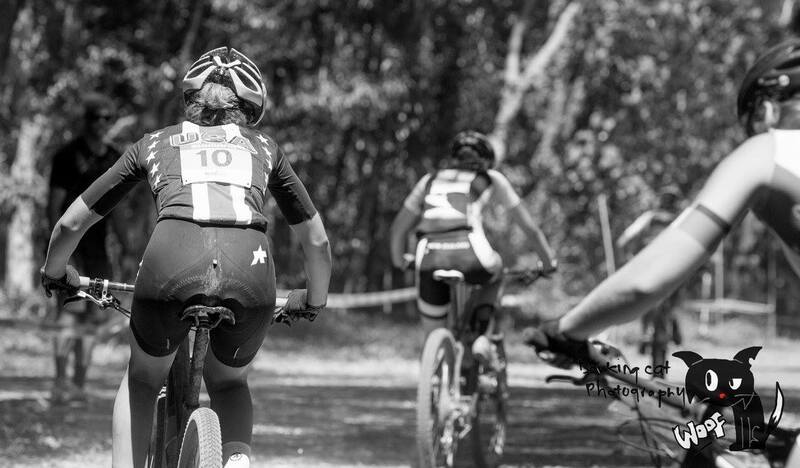 Leaving the course that day I felt confident and more than anything just excited to have the opportunity to be there and get to race in a field of such strong and experienced women. ​Saturday rolled around and I had a smooth morning before my 12:30 pm start. I was 15th call up and lined up behind Kelsey on the second row. The start was on a wide gravel road with a quick right hand turn on loose gravel quickly after the start. The gun went off and I found my pedal smoothly. 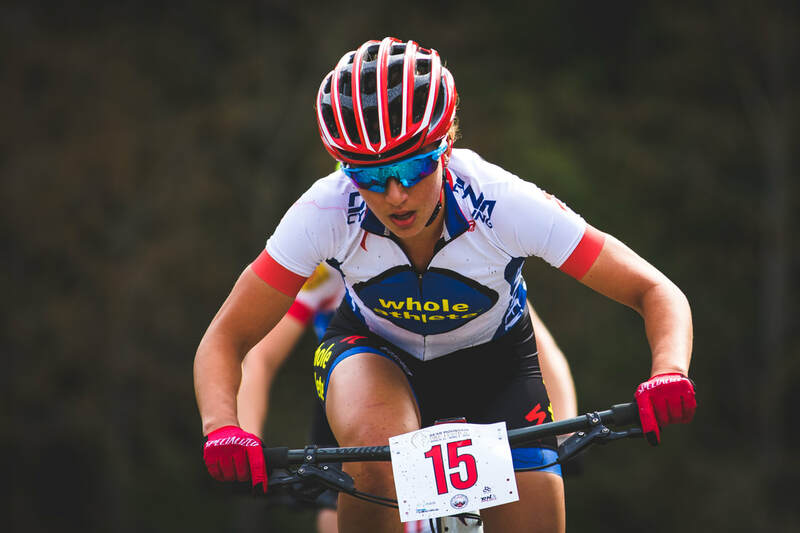 I found myself drifting into the middle of the pack and as we rounded that first corner there was a bottleneck and a bunch of riders in front of me stalled. I was forced to put a foot down and drag my bike around the corner. Seconds later I found myself fourth from last with the leaders already starting up the first climb. I brushed it aside and put my head down focusing on making as many passes as I could before we entered the singletrack at the top. I also didn't want to expend too many matches on that first climb, so my start made this difficult when I found myself chasing from the back. I passed a handful of riders by the top of the climb, but entered the tight single track behind a group of about five. 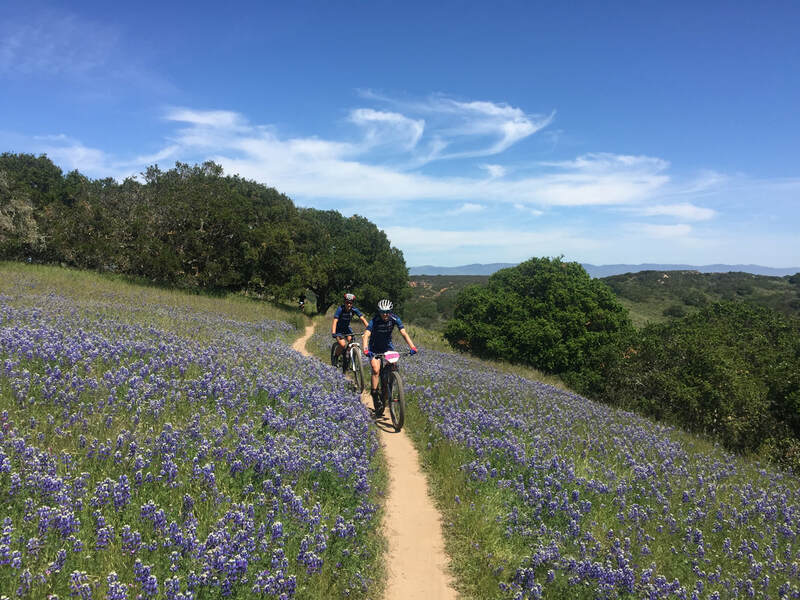 I rode their wheels, realizing there was little to no passing opportunity in the single track and I knew the front group was pulling away quickly. ​Exiting the singletrack onto the gravel I was able to make up about five places before the next single track. I could see Kelsey with a group ahead and stayed smooth in the trees. Sometime soon before going through the start/finish area I caught up to Kelsey’s wheel. I started to settle in here and relax a bit heading into the second lap. For the next two laps I rode her smooth wheel on the descents and we traded off with pulls on the open fire road sections. 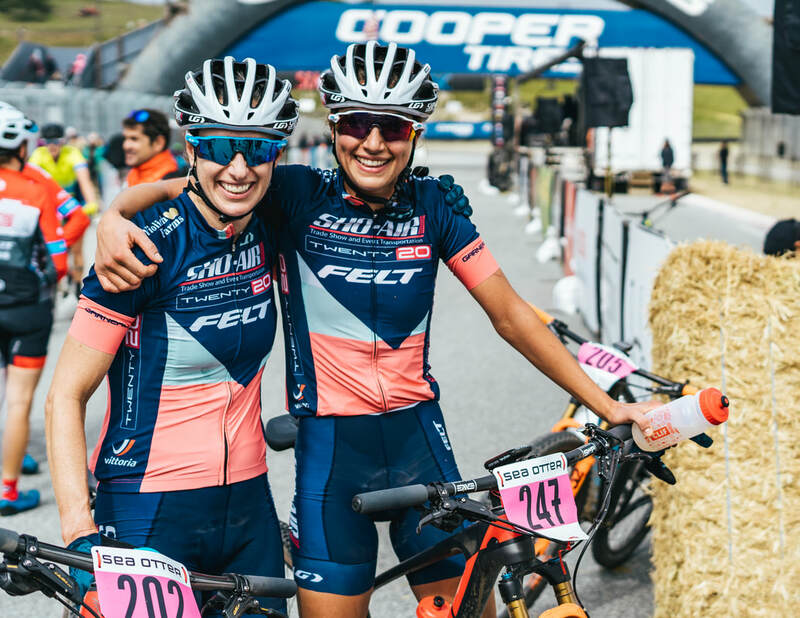 The Specialized Epic was flawless on the rooty course and I couldn’t help but smile racing with my teammate. At the end of the third lap (of four), we were with one other rider. Going into the fourth lap I knew this was it so I put in a big effort on the pavement climb, surprising myself with how good I was feeling there. Kelsey took my wheel and we pulled away from the other rider. 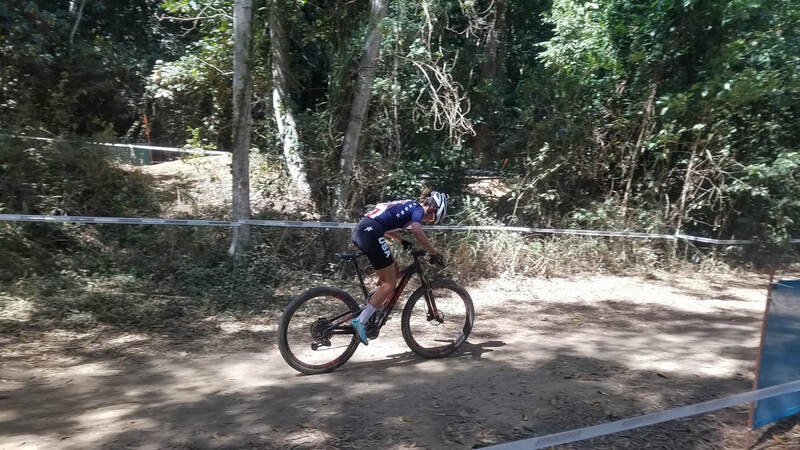 By the top of the climb I took the lead in the single track and just focused on staying smooth on the technical terrain and holding nothing back on the climbs. 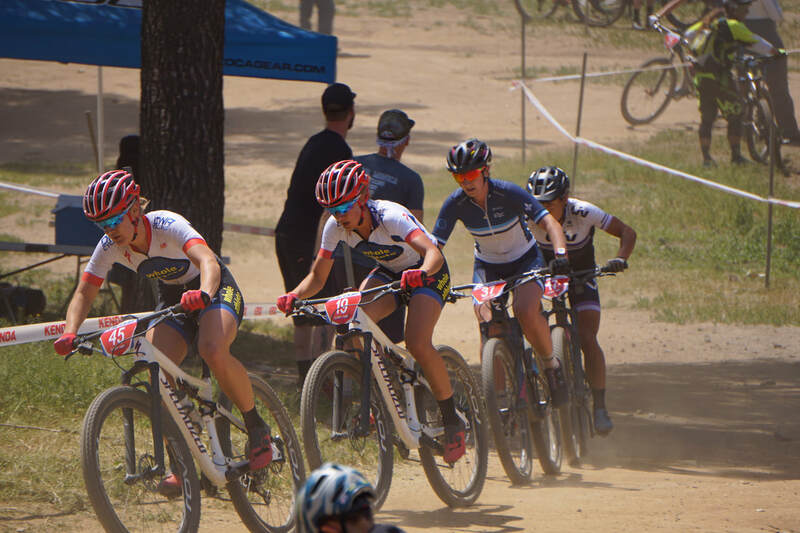 I was happy to have raced a smooth race and finish 8th in a strong field. 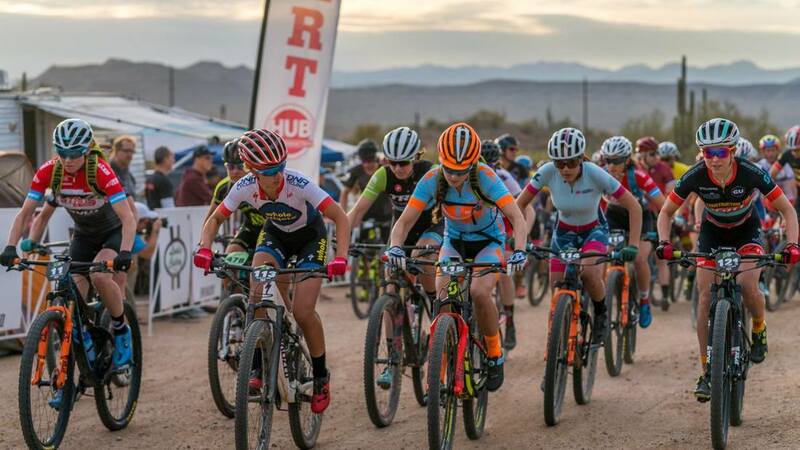 This weekend held lots of ‘firsts’ for me, being my first race with the Elites, also the first race of the season, first time racing in the dark (STXC), and first 40+ mile race. The weekend was off to an exciting start with our Short Track race in the dark at 7pm. I felt strong off the line and settled in behind Sofia Gomez Villafane. For the first lap and a half we rode behind Erin and Rose before they broke off. We were all riding conservatively in the dark and it wasn’t worth it to risk making a mistake so I drafted off of Sofia for the next lap before taking the lead on the final lap. It was different being in front and I didn’t have as much light to guide me so I found myself having to be more focused then I have ever been on the trail. I made multiple attacks on the last lap and was able to make the last one stick making a small gap on Sofia. Bright and early the next morning was the 40+ mile cross country race. I didn’t know what to expect going into this one. I had felt really strong the night before and my main goals were to use it as a training race. We started out pretty conservatively and soon the top four broke off from the rest of the field (Erin, Rose, Sofia, and myself). After about 30 minutes Erin took the lead and picked up the pace. I knew it wasn’t sustainable for me but I also didn’t want to ride by myself for the next 2.5 hours, so I hung on for a little longer until Sofia broke off from Erin and Rose. Sofia and I worked together for the rest of the race. After finishing my last hard block of training it was finally time to pack the bike up for one last time and get on a plane to Australia. Months and months of training and preparing were done, and it was finally time to put my hard work to the test. 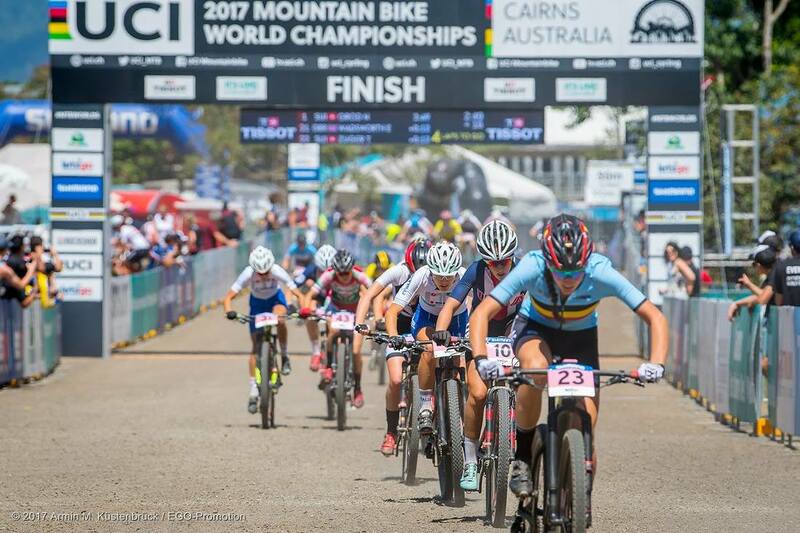 After 38 hours of travel I landed in Cairns, Australia for World Championships. I arrived late and made my way to the hotel room. Bright and early the next morning I was wide awake and it was time to see the course! It was only 8 am and already in the 80s, I prepared for a hot day on course. The venue was settled back against the jungle, cruising past flocks of wallabies on the way to the course. The course took us on a rollercoaster of a ride up into the jungle, twisting and looping through brutal, dusty, climbs followed by rough rocky descents. ​I was in love with the course. The most challenging track I'd ever raced, keeping you at your limits and forcing you to be 100% focused the whole time. I knew it was going to be an action packed hour of racing bikes. The days leading up to the race were intense. I had limited time to get confident and ready on the course. Every day people had stories to tell about their time on the course with bad crashes leading to broken necks, internal bleeding, and other injuries. I finished up riding the course and put all my attention to mentally preparing for what I knew would be the most brutal 1 hour of my life. Race day arrived. The one race I had been working towards for years. I was calm and nothing but excited to soak up every part of this experience. It was so hot on my warm up, and by our start at 1 pm it was in the 90s. 15 minutes till call ups I was met my Marc and Jason in the start box with an umbrella and fresh bottles. Spin spin spin…call ups begin… I’m called to the line 8th. I sneak into the last spot on the front row. Far left side, the dramatic music winds down and the infamous heartbeat pounds through the loud speakers as they count us down. ​30 seconds, 15 seconds…the gun fires and we go. I scramble to find my pedal and sprint as a cloud of chaos floods in around me. Elbows and handlebars are thrown everywhere as we flood into the first left hand turn. I get caught up in the middle of the pack, trying to make my way to the outside as we enter the corner. All of the sudden everything is dark as a huge cloud of dust swallows us all. I can’t see anything as I struggle to move up in the dark. I sprint everywhere I can and catch up to a group of riders as we cross the start/finish line going into our first of fourth laps. The air is hot and all I see is dust as I push as hard as I can to move up as we go into the first single track. The pack spreads out and I find myself in another jumble of riders as we hit the first climb. My legs burn but I’m feeling ok. The trail opens up and for the first time we have a couple second break. The dust is everywhere and I feel the heat pounding. I grab a drink and keep pushing. ​Lap after lap the focus became more intense, and so did the heat and dust. 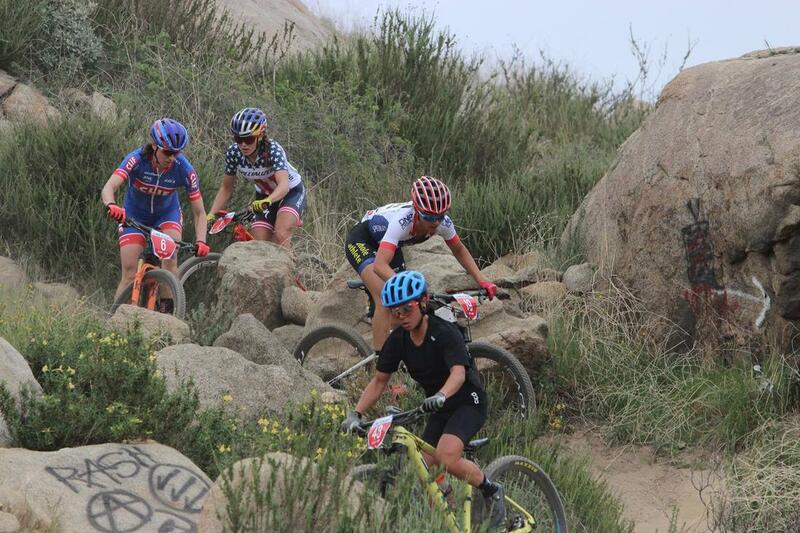 By the start of the fourth lap I had worked my way up to another group of riders and my US teammate Gwendalyn Gibson. I was feeling strong coming across the line entering my final lap. I pushed as hard as I could on the flats and took the outer line going into the ‘Bmx section.’ Roller after roller I was gaining time on them, then WHAM I go into the last roller with way too much speed and find myself on the ground scrambling to pick up my bike. The group of riders I was with had made a small gap but I’m sprinting and gaining on them. I catch back up to a girl from New Zealand with everything I have. I roll on her tail up the climbs and push absolutely everywhere. There is very little opportunity to pass on the climbs on this course so I stay on her wheel. The heat and dust hitting me hard and I feel my cough from a recent cold hit me again. Finishing the climb with everything I had left I begin the final descent. A wave of emotions flow over me as I’m greeted at the line by my team. So much preparation came down to this one race, so much focus and sacrifice. In the end, you do what you do in every other race, and give it your absolute all. ​It’s been a long season, and as it comes to a close, there is so much to reflect on and everything to be grateful for. It’s hard to put it all into words now, but all I can say is thank you. Thank you to everyone for giving your support again and again. Believing in me from the beginning and for being part of my team.